(Bloomberg) -- Not long ago it was the defining issue in Israeli elections. Today, even with Donald Trump’s “deal of the century” hovering in the background, Israeli-Palestinian peace barely registers on the campaign radar. Their century-long struggle has been set aside by parties as they raucously debate corruption in high office and the divisiveness that’s beset Israeli society ahead of an April 9 vote that will either re-elect Benjamin Netanyahu’s nationalist alliance or put in power a centrist challenger. It reflects a deepening mood among Israelis that a deal is impossible, five years after the last round of U.S.-sponsored peace talks broke down over Israeli settlement construction and the Palestinian Authority’s attempted rapprochement with Hamas, which is considered a terrorist group in the U.S. and Europe. Netanyahu, in power for the past decade, has repeatedly stated Israel has no peace partner. His main opponent, former military chief Benny Gantz, has also questioned whether a deal can be reached at this time. Ignoring the stalemate comes with its own perils as decades of frustration and despair fester in lands Israel occupied in the 1967 Middle East war. 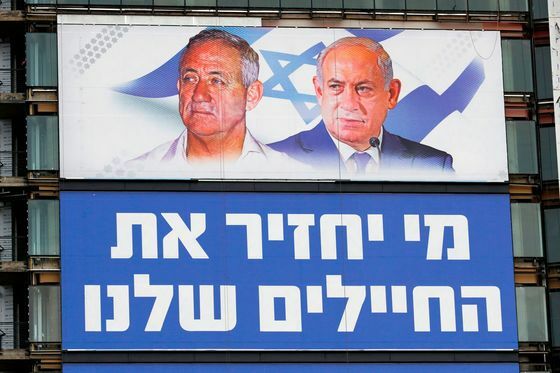 Two prospects are especially unappealing to Israelis: a resurgence of violence along existing fault lines, or a push for minority Israeli rule over a disenfranchised Palestinian majority in a single state. 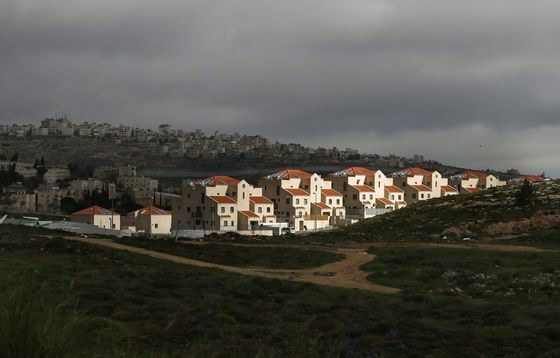 Amid the impasse, the idea of annexing parts of the West Bank that are mostly home to Jewish settlements has gained wider acceptance among voters. 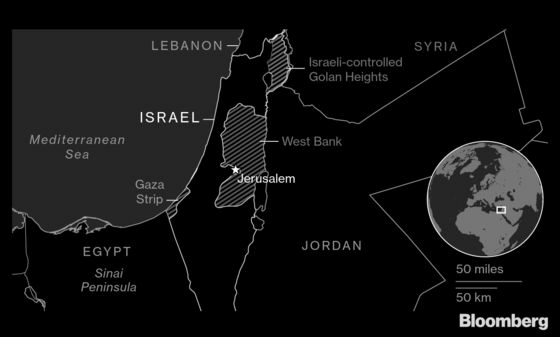 They’ve welcomed Trump’s recognition of Israeli sovereignty over Jerusalem -- part of which Palestinians want as the capital of a future state -- and the Golan Heights, captured from Syria. Israel’s peace camp, already on shaky ground after the suicide bombings that followed the 1993 peace accord, fell apart seven years later with the Palestinian uprising that followed the collapse of U.S.-brokered talks. While there have been repeated conflicts with militants in Gaza, the absence of major, sustained fighting in the past few years has damped any urgency to settle things. Palestinians, left stateless by Israel’s creation in 1948, say the proposed peace deals didn’t offer enough on West Bank borders, sovereignty, Jerusalem, and the fate of refugees who fled or were expelled from their homes, to achieve a viable state. Israel continues to control the West Bank and build Jewish settlements on land the Palestinians want for their own state. Palestinians say they won’t resume peace negotiations while construction continues and broke off contact with the Trump administration after its recognition of Jerusalem as Israel’s capital. They’re divided, with the West Bank-based Palestinian Authority seeking to weaken Hamas rule in Gaza. 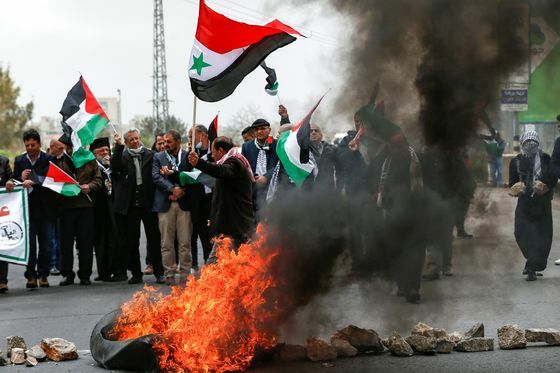 And their cause is no longer at the top of the Arab agenda as wars have devastated countries in the region and influential Gulf states draw closer to Israel to confront another rival, Iran. Among Israelis, support for a two-state solution has plunged. Forty-two percent of those questioned for a recent poll endorsed annexing at least part of the West Bank, including some self-identified leftists who believe in a two-state solution. Only 34 percent favored the establishment of a Palestinian state. Palestinian backing for two states is higher, with 48 percent in favor and 50 percent opposing, according to a March poll by the Palestinian Center for Policy and Survey Research in Ramallah. It’s unclear whether Trump’s peace plan, expected to emerge after the Israeli vote, will provide for a two-state solution. The Palestinians have already pledged to reject any proposal from Trump, deeming his administration biased toward Israel. Since Trump took office, he’s walked back the U.S. commitment to Palestinian statehood, closed the Palestine Liberation Organization’s diplomatic mission in Washington, and stopped funding the UN agency that serves Palestinian refugees. Trump also cut U.S. funding for the Palestinian Authority over its insistence on paying stipends to militants who attacked Israelis, or their families.